I think it is time for a pot-luck breakfast where we all bring one of these treats! OH MY GOODNESS. Such a good roundup! I love them all! Wow!!! These all look absolutely incredible! Oh, those crepes- just wow! I have always loved that you have this board. I have so many pins that could be breakfast but they are a pretty good dessert too. I love this roundup! And thanks for including me!! I’ll have 5 of everything, please! Thanks for the morning eye candy. This is an incredible round-up! So many yummy things to make! I’d take dessert for breakfast, or breakfast for dinner in a heart beat. 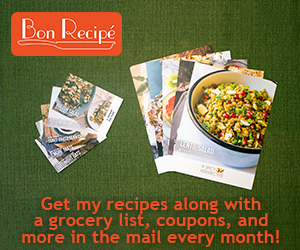 Delicious round-up of recipes! Wow, what a round up..I am a total sucker for anything cinnamon cream cheese!! So many fantastic breakfast ideas! I want to try SO many! YUM! So many fantastic breakfast ideas! I want to try SO many! What a fun roundup of breakfast “desserts”! Thanks for including my Chocolate Mousse for breakfast, my son couldn’t believe I actually let him have this for breakfast. Um…I sort of want to eat all of these right now. Looks amazing!!! What a delicious round up!! What a great round up! I love muffins, pancakes, and all things sweet for breakfast. Now only if my metabolism agreed! If only we could have each one for a whole month, definitely putting the round up in my line up for Saturday breakfast with the kids! It’s a great array of sweets and they all look fabulous!